It's nothing new, we've all seen a million walls, tables, etc done with chalkboard paint, but check out these fresh ideas! I'm loving all of them! I love everything over @ First A Dream, see how she transformed a screen door into this chalkboard! I love the size and how it frames it out! The always impressive Amy @ The Idea Room has done it again, check out her chalkboard notebook! 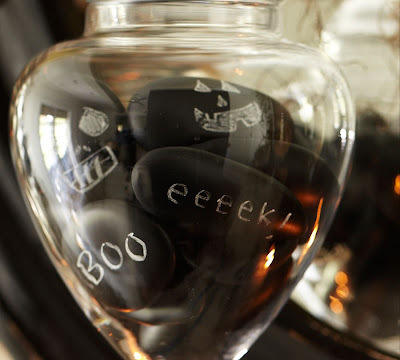 These chalk rocks from Pottery Barn would be super simple to make yourself! I love to think of the endless possibilities these have! Globes turned chalkboards over @ Natalie Putnam. She used these for a Star Wars party to let the kids "create their own planets"! How cute is that? Now I just need to get over to Home Depot to pick up some chalkboard paint! 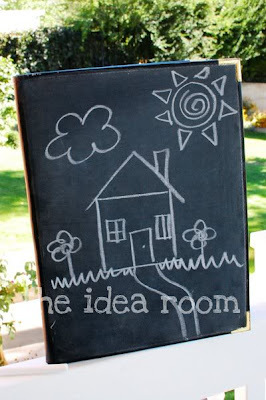 Love chalkboard paint! You really can use it on anything. The piano is especially cool! 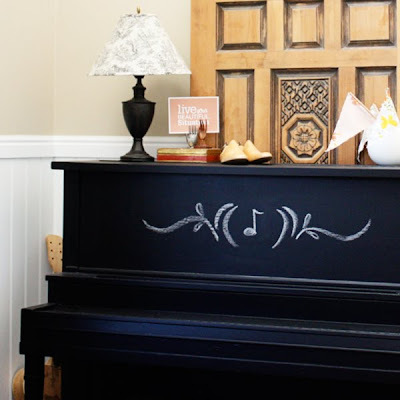 Great ideas, I love that piano! Hmmmm...I jsut happen to have a cottage screen door laying aroudn that needs a little work. I'm thinking this owould be really neat to do with mine! Love the globes. I just did some pumpkins with chalkboard paint too. We love changing the faces. 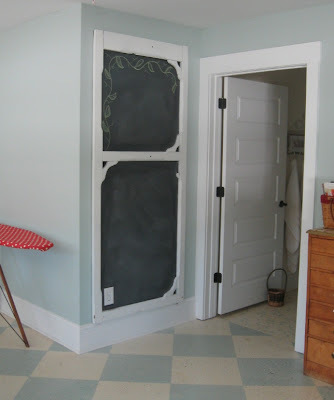 Chalkboard paint is awesome.